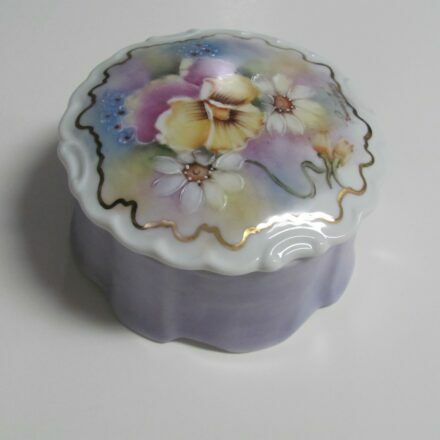 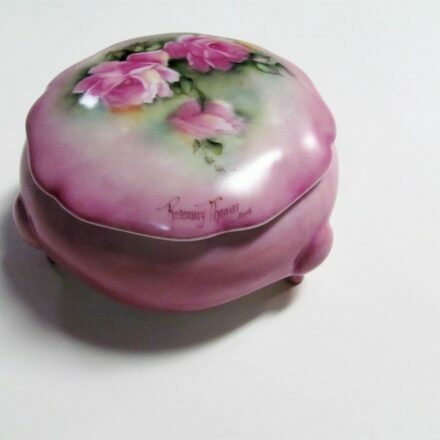 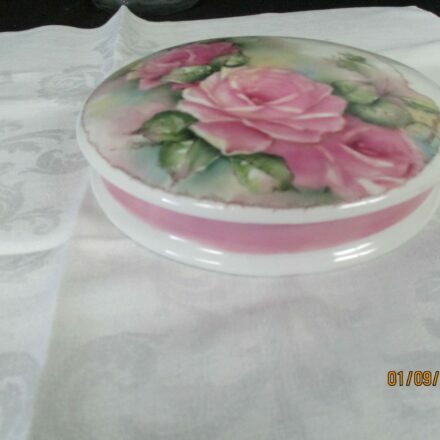 5 1/2″w x 2 1/2″h — Antique hinged round box, hand painted with a original multifloral design by the artist, rose/mauve tea rose accented with daisies, pansey, violets,and blue forget-me-knots using raised paste to add dimension. 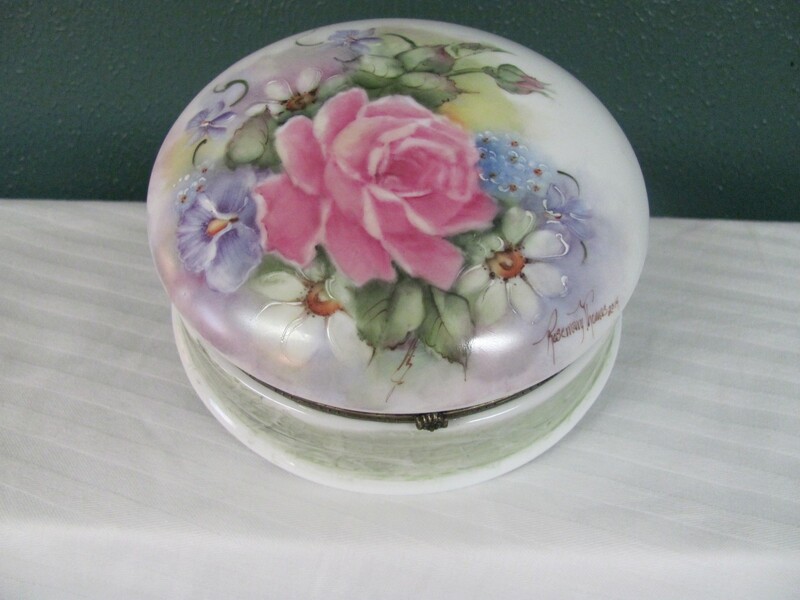 Bottom of box is very unique as 4 different shades of green are brushed on then applying plastic wrap and pulling it off, which makes a one-of-a-kind creative design. 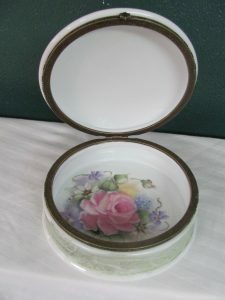 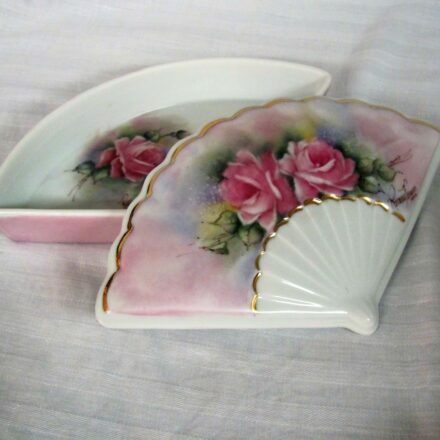 Flowers are also added in the inside of the box.